How many days left until New Year’s Eve Countdown? When this thought comes to your mind, it is the moment when you realized that one year has almost gone, and you also realized that it’s gone so fast. 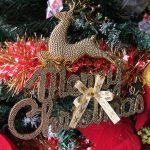 Decorations have been set up in houses, malls, roads or offices to tone up the joyful of Christmas and New Year celebrations. Presents have been wrapped, foods and drinks ideas have been planned and people so cannot wait to do the countdown. 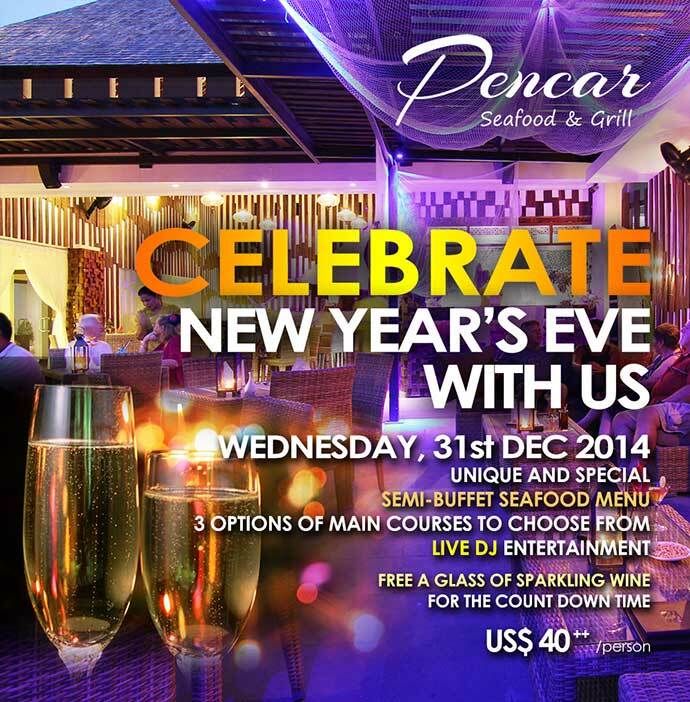 To enjoy this year’s celebration, we would like to invite you to join our joyful special Christmas and New Year’s Eve dinner events at Pencar Seafood and Grill. We will have a “Christmas Tradition Dinner” set menu on Christmas Eve. 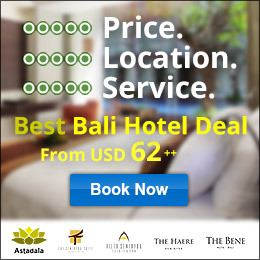 2 choices of set menu can be chosen combined with one complimentary special Christmas Cocktail to be served on your table. 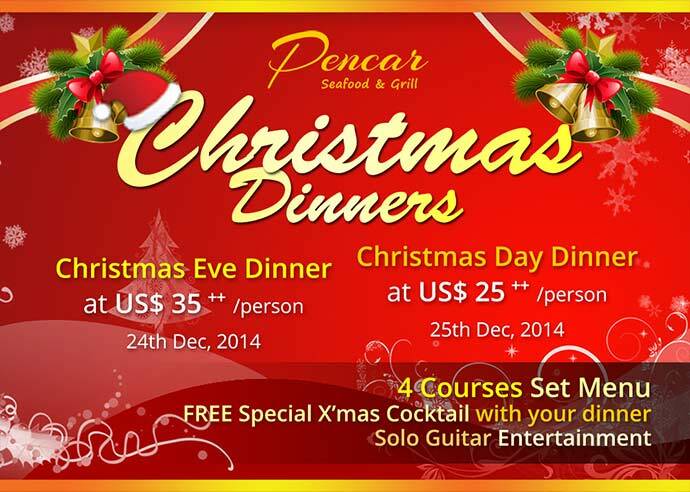 While on Christmas Day, we will have a “Christmas Day Dinner” with 2 set menus as your choice. 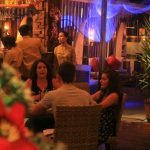 You can enjoy lively acoustic solo guitar entertainment, and special wine promotions to make up your unforgettable Christmas dinner celebration from 7pm to 9.30pm. On New Year’s Eve, we would like to invite you to join us celebrating the coming of 2015 with special “Pirate Dinner Party” semi buffet dinner. 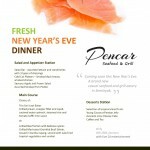 As the starter, salad bar, soup, brad and various kinds of appetizer will be served to begin your delight New Year’s Eve dinner celebration. 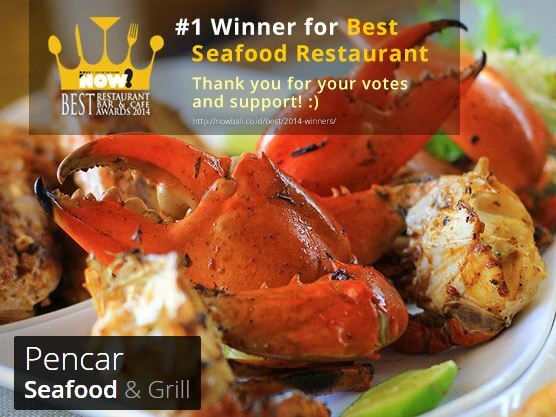 Then you can enjoy choices of main course; Australian Beef Steak Mushroom Roulade, Oven-baked Pork Medallion or Pan-seared Fresh Tuna Steak. To spoil your sweet tooth, complete your dinner with Chef’s choice of desserts and special whine promotion from 7pm to 9.30pm. A live DJ performance from 9pm to 2am will accompany your end of year celebration and one glass of Sparkling Wine on Count Down will be served to you on our treat. 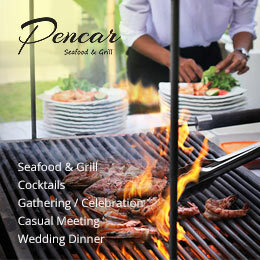 So, get your pirate costume ready, bring your beloved friends and family along to Pencar Seafood and Grill and let’s blow the trumpets and do the Count Down with us! Merry Christmas and Happy New Year 2015! 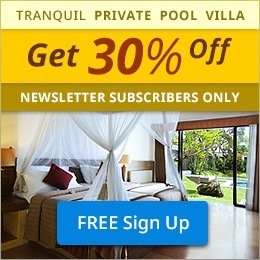 Visit the website for more details or Click here to reserve.